Why do some people make more money than me? Get higher quality clients? 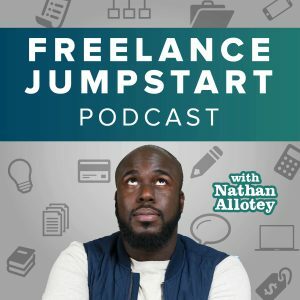 Why is it some freelancers are viewed as experts in a certain field and land big projects while I struggled to get people to pay my desired rate? These were the questions I wrestled with and often kept me up at night. These questions and more were all centered around the position and perception of my brand. If someone had to summarize your business in one sentence what would they say? I remember feeling frustrated because I felt clients were not giving me the respect I believe I deserved. Not only did I take the time to learn web design, WordPress, and digital marketing, I took it a step further and invested the time to get my MBA. Much of what I learned from my courses I implemented in my business at a broad level but at a specific level I had a real problem. Clients were coming to me through word of mouth, but they were not the type of clients I wanted to build my business on. These were people looking for discounts or hookups and I knew these clients were not going to pay me for my true value. This is not the client’s fault but my own fault because I didn’t properly position myself as I should have. I remember putting my best effort into building a website for a client. The website was a custom solution created in WordPress which amazed the client when I was finished with it. My main goal was to create something excellent to build up my portfolio. Though the website exceeded expectations I still did not get paid what I thought I should have. Just to be transparent, I charged $2,000 and the project also included branding, logos, and flyers other marketing material which I bundled with the creation of the website. I also knew there would be an opportunity to work with this client in the future. Out of curiosity, I wanted to know what the website was “truly worth”. First I called another popular freelancer I knew and asked him how much he would charge for a website similar to the one I designed. His answer was “no less than $5,000”. Next, I called a digital agency and asked them how much they would charge, their answer was, “the cost would be at least $7,800 and a monthly fee of $200 bringing your total to just over $10,000 for the year. All of this was for the website alone and did not include branding and graphic work. Simply put, I was leaving money on the table big time and I would missing out of $8,000 extra I could have made all because I did not take the time to position myself to get the right type of clients. Remember, I showed them a website I built and asked them to build something comparable to it. You could say this is a pricing issue, but pricing issues are only a function of how you have positioned yourself in your target market. It’s not that the other quotes were overpriced it was the fact my lack of positioning left me at a disadvantage. Clients knew I did good work that’s why they came to me in the first place however their perception of me was this: “Nathan will give you an excellent product for a low price”. Since I wasn’t intentional, that was how people were perceiving me. The end result of what I produced was the similar if not the same to that of the agency’s portfolio, the only difference was people view me as a random web guy who does websites sometimes vs you’re a full-service agency with a team of experts who can fulfill every need. Who knows I may have in fact had more expertise in web design and digital marketing than the agency but none of that matters if I cannot portray that to my potential client base. I can take the role of a victim, try to blame the clients and say they should have given me respect, I have an MBA. It wasn’t about how much I knew, it was about how much I can value I can communicate That’s why we’re talking about positioning, it doesn’t matter what price you set, it doesn’t matter that you look just like Apple, what does matter is how are people interpreting the skills you bring to the table. People will always put you in a box, at the least you need to control the type of box they put you in. That is what positioning is your not being subject to people’s opinions of what you do or your value you’re telling them what your value is your showing them what your value is so that you can start getting the top of clients you have been targeting as I talked about in the last video. It’s great to know that you need to position yourself but what are some quick wins on how you can do so I am glad that you are here is the list. You need to see how your work compares to others who are in your field or a similar field. There’s a chance you produce great work like other talented individuals, check out websites like Dribbble, Behance, Vimeo, 500px and compare what you produce to others. Reach out to those who you admire and ask them what they price range is and how they were able to value their skills. I made the mistake of listing what I knew and my skills on the website, this will not work for proper positioning. You are going to have to frame how you use those skills on a client project to reach an end goal and produce results. The easiest way is to show this in your portfolio or even on an individual client phone call. This should extend to how you answer questions: Are you able to design logo? Don’t simply answer yes or no, answer the question by walking an individual through the process of how one would be created. Make you specific skills and style so desirable that you’re the only person who is able to solve their problem. Sure, the potential client can go to someone else but they will feel that they are “missing out” on what you have to offer. This means you are not interchangeable with those low-cost, low-quality freelancers out there. If you really want higher paying clients ask yourself an honest question, Does the first client interaction with me show I’m worth paying more for? Your professionalism needs to be a 12 out of 10. There’s no way I can ask clients to pay $10,000+ for my services and my own website looks like it’s worth $50. I have to portray what I am asking for. This is more than just looks, this includes your onboarding process, customer service, ability to meet deadlines and client communication. One way to change others perception is to tell the story of how your product or service came to be. No other person has your same story. There may be similarities, but it is the differences that make your story unique. This does not mean to tell the story of how skilled you are or how awesome your service is. This type of story involves relating to your targeted audience and show you have been in their shoes and what you have to offer is the answer to the questions they have. Are you having trouble with your positioning as a creative? Leave a comment below and your website and I can give you some immediate feedback.